Language is the means of mutually comprehensible communication among people. There are thousands of languages around the world, but many of them are dying. Folk culture is practiced by a relatively small number of people in a particular area. Popular culture is diffused rapidly around the world through mass communications. 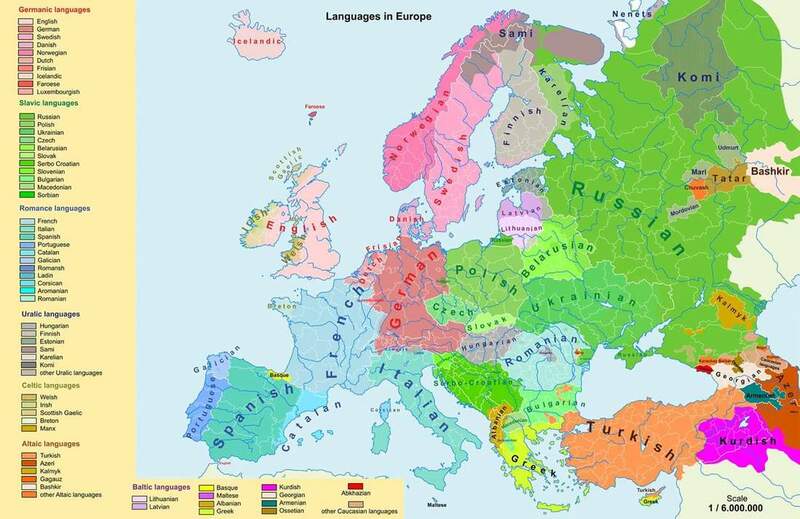 The largest language family is the Indo-European family of which there are many branches, including the Romance and Germanic languages. The second largest language family if the Sino-Tibetan family, which includes the most spoken language in the world- Mandarin Chinese. Dialects are forms of a language that differ based on vocabulary, syntax, and speed. There are five primary religions in the world today: Christianity, Islam, and Judaism (the Western religions) and Hinduism and Buddhism (the Eastern religions). Christianity is the largest religion in the world with just over 2 billion followers. Islam is the fastest growing religion in the world. Religions defined as monotheistic or polytheistic (worshiping one or more gods) and ethnic or universalizing (people must be born into or can be converted to the religion). 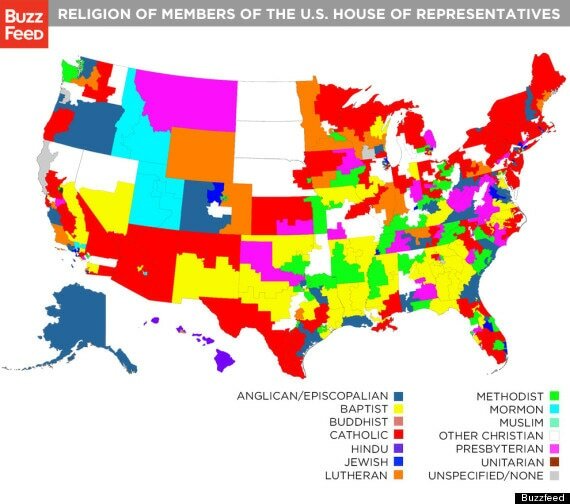 There are architectural differences in religious structures around the world. Christians use churches, Jews use synagogues, Muslims use mosques, Hindus use temples, and Buddhists use pagodas. According to Carl Sauer, cultural landscapes can be read and interpreted based on cultural features such as murals, language of signs, religious architecture, and even food preferences. In a pair or individually, you will research a country and create an infographic on the country’s gender issues/practices. To create the infographic we will be using PiktoChart.com. At least one member of the pair will be required to create a free account. Step 1: Complete the chart with information about each of the endangered languages. Then, add 3 more of your choosing. Plot them on the map to show where they are spoken. 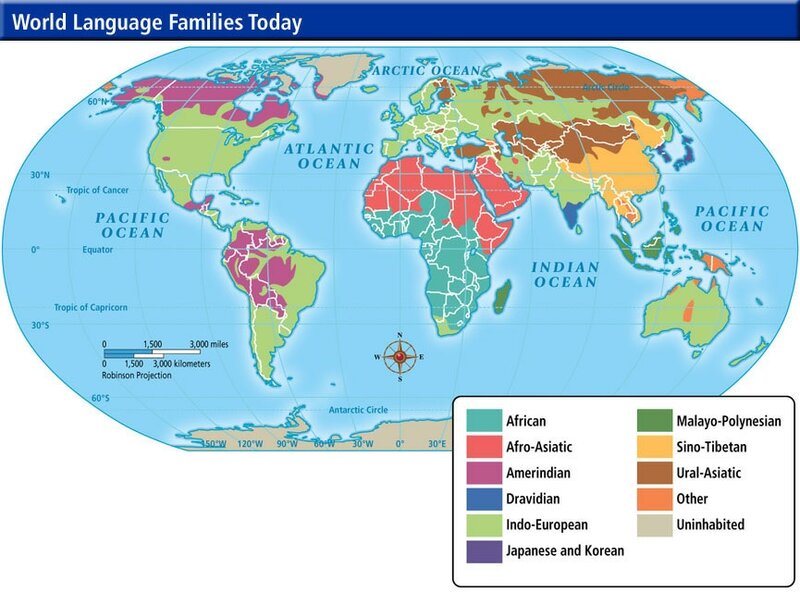 Endangered Languages Explore the Language Map, or browse by country. Click on the videos and resources associated with each language to complete the information in the chart. ​Story Maps - Language Explore the resources for each endangered language by clicking on the location of where each is spoken. More videos and articles to explore. Step 2: Research why the following languages are classified as "isolated." Explain why each one is not endangered although spoken by relatively few people. Step 3: Click through the PowerPoint below. Make sure to listen to each of the videos. All slides can be helpful, however you don't have to use information from every slide. You will be responsible for knowing everything on the PowerPoint for your notes. When you are done, check your Language Map Sheet with the answers on the last 2 slides. 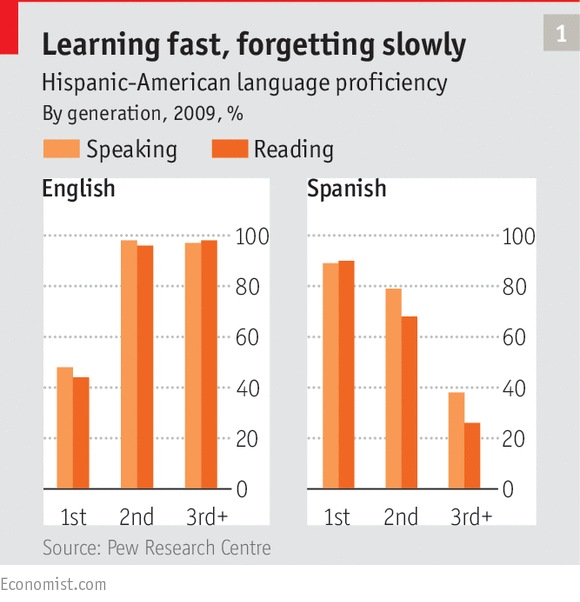 Should America Have An Official Language? You will read / research about the USA having English as an official language and write at least a 1 page paper arguing the strengths and weaknesses of this argument. Choose a stance to take in your paper and support it with evidence. Paper will be turned in on by Wednesday on turnitin.com. Follow MLA formatting and make sure to site your sources. - After you finish the World Religions Map and Questions from Day 11, start on the Day 12 Assignment. We will go over the World Religions Maps and Questions once everyone has finished. - You can work with a partner to complete this "Major Belief Systems in our World" assignment. However, you both will need the information to help you study for our Unit 3 Test. You can write it out on the paper I gave you or open up the document below and type it. Once you finish work on your Unit 3 Vocabulary and Reading Guide Questions. Based off the article below come up with 2 specific ways that religion determines gender or cultural norms.